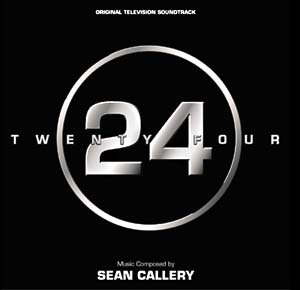 The TV show 24 signalled a novel variation on storytelling for TV drama that required a commitment to real-time drama over a 24 hour time period with each of the 24 episodes in the season covering the action contained within one hour (or as near a 24 hour coverage as commercials-riddled TV would allow.) This TV show also required a heavy commitment from the viewer, who had to try and follow all the action taking place through the whole season (currently standing at four seasons.) Composer Sean Callery has been tasked with providing music for all the seasons to date meaning that he has been called upon to score a variety of different locales and situations.